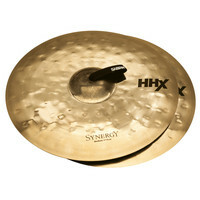 The Sabian HHX 21 Synergy hand cymbals features a medium weight and is played with absolute ease. Embracing low mid and high partials with a smooth and robust response that is totally musical. Sabian HHX series are dark and tonally complex cymbal that cut through delivering more modern styles.